We are very fortunate to have the support of various companies and organizations in the community. We want to publicly thank and acknowledge their contributions to our society, the animals in our care, and all the people we educate every year. 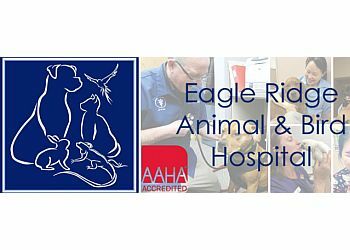 We are so grateful for the wonderful, professional vets and assistants at Eagle Ridge Animal Hospital. They go above and beyond to help us and the animals. 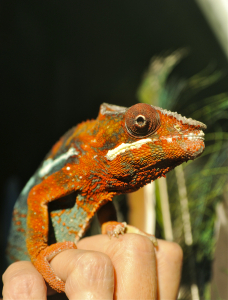 They come to our facilities to do site inspections, checking our procedures, check animal habitats, and overall animal health. They give suggestions and much more. We truly could not do what we do without them. Recently they donated the value of their services, which was an enormous financial help to us. Dr. Shockley and Dr. Hardin you are the best and we very much appreciate your support! Many thanks to the great people at the Fraser Valley Building Supplies Association, which includes RONA and ACE Hardware. They very generously donated lumber to construct our new food prep area. We are in the middle of construction now but have walls, windows, and sliding door installed. The new food prep area will allow our staff to better organized their work area, have room for bigger frigs., and more storage for items needed for the care of a very large variety of animals. THANK YOU !! Fraser Valley Building Supplies !!! Announcing the Urban Safari Vintage Store – the coolest little vintage store in Cloverdale. If you are looking for old school LP records, vintage stereo equipment, vintage posters, and lots of other treasures then stop in and see what’s in store. The other cool thing about this store is that every time someone makes a purchase Dennis and Allan the cool owners make a donation to us. So you find awesome hard to find vintage items and help provide for the care of our rescued animals! Win! Win! 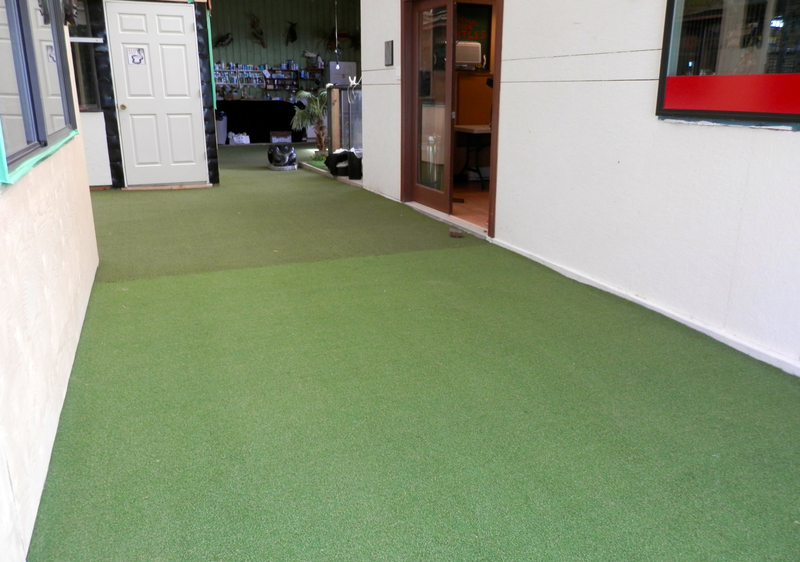 A huge thank you to Scott McCartney and Precision Greens for donating the new astro turf in our back area. It looks so much better and is easier to keep clean. 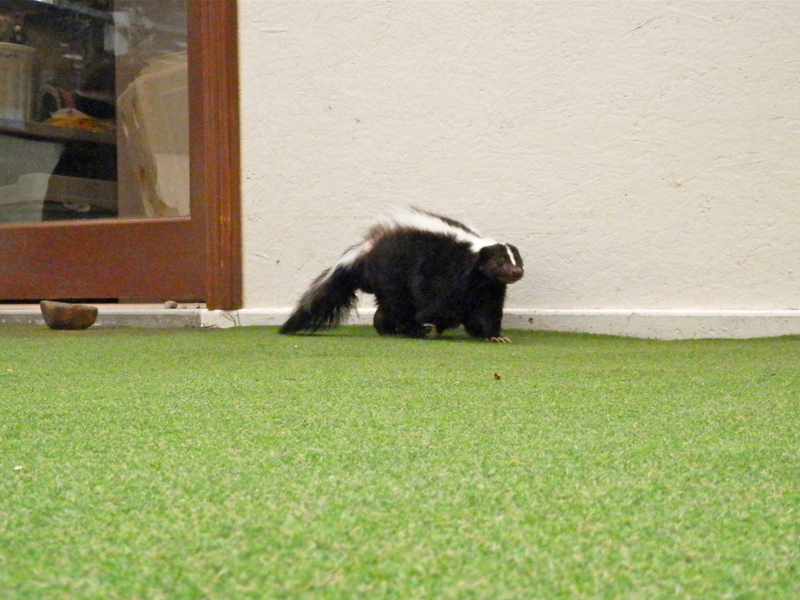 Febreeze, the skunk, also loves some new wide open spaces. Thanks Precision Greens! You are the best!! Our newest project is the installation of a heated and air conditioned classroom in the back ‘barn’ area of our rescue centre. It was a long time coming. This is a project we needed and wanted done for a few years and now thanks to Shell Busey, Rempel Concrete, Art’s Concrete, Windsor Plywood, Eric Brovold, Southridge Building Supplies, North Coast Building Supplies, Trevor Ferguson, and Mike Clemas we finally have a clean, smooth concrete floor. A huge thank you to all of you, this means a great deal to us! We will be holding our Nature Club, Junior Zoo Keeping, Summer Camps and other courses in this classroom. We are very grateful to Shell Busey House Smart and all those mentioned above for their very generous donations of time, labour, and materials bringing this project to completion! A huge thank you the Richmond Animal Hospital for your very generous donation of $1800.00! Once a month the Richmond Animal Hospital donates money earned from animal nail clipping appointments to an animal shelter. November was our month and are very grateful. The Cloverdale Bosley’s has been a long time supporter. They donate hundreds of dollars worth of pet food to us for our animals. We are very grateful, as are our various animals. They also have supported us many times by providing items for silent auctions and other fund raising efforts. Thank you to Tara and all the folks at Bosley’s for your generous and continued support.